The Johns Hopkins Applied Physics Laboratory (APL) is a national leader in scientific research and development. 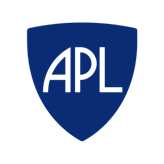 APL is actively seeking a Software Engineer for the Health Data Sciences & Analytics Group. The Software Engineer will support the National Health Mission Area, whose aim is to revolutionize health through science and engineering. JHU/APL is located midway between Baltimore and Washington, DC. The Health Data Science and Analytics Group provides cutting edge analytics contributions to national and global public health and healthcare challenges, developing solutions in Health Informatics, Population Health, Precision Medicine, Digital Health, Analytics and Software Systems. Our multidisciplinary team of engineers and scientists develop advanced analytic capabilities and software systems that incorporate statistical and machine learning algorithms on big data sets and then develops visual analytics to find information hidden deep within those complex, healthcare-related data sets. Successful candidates should be creative thinkers, motivated problem solvers, team players, and life-long learners, dedicated to building world class expertise to provide solutions for health and healthcare systems around the globe. Develop Java-based web applications and software services that tailor best practices and apply state-of-the-art tools and techniques. Develop solutions for a variety of challenging health projects to include desktop analytic applications with database and GIS capabilities, as well as interoperable, integrated clinical and medical device capabilities. 1. Develop, test and deploy software solutions. Participate in key technical efforts by applying and tailoring best practices of software engineering such as iterative, adaptive approaches. Elicit user needs and translate them into technical requirements and specifications. Furnish deliverables that meet sponsor needs and are consistent with APL quality standards, and conform to the constraints of scope, schedule, and budget for our sponsors. Promote a climate conducive to intellectual curiosity, creativity, innovation, collaboration, growth, productivity, and respect for others. 2. Document and present papers on current research and development activities. 3. Communicate often and effectively with team, sponsors and JHU/APL leadership. Participate in the data science, analytics and APL community. Take advantage of collaboration and innovation opportunities to help ensure success of APL’s mission. Note: This job summary and listing of duties is for the purpose of describing the position and its essential functions at time of hire and may change over time. • B.S. in computer science, computer engineering, electrical engineering or equivalent. • 5+ years of demonstrated experience in software development. • Experience developing software with Java. • Experience with SQL language and specific databases such as Microsoft SQL Server, MySQL, or PostgreSQL. • Excellent interpersonal skills, the ability to work independently and solve problems with minimal supervision, outstanding written and oral communications skills, and good organizational skills. • Must be eligible for Secret clearance requiring background investigation. • Experience with full-stack Java development. • Experience with a variety of web application tools and technologies such as Angular, ReactJS, vue.js, REST, JAX-RS, JPA, Hibernate, Spring, etc. • Experience with IoT technologies and protocols. • Experience with ETL solutions, enterprise integration patterns, message-oriented middleware, and hands-on experience integrating third-party devices/software into software systems. • Experience with GIS technologies including ESRI's ArcView, ArcIMS, GeoTools, GeoServer and Open Layers. • Experience developing mobile software. • Experience developing software that integrates with sensors and/or devices. • A strong technical writing background. • Experience in medicine, emergency response, or public health applications and/or exposure to clinical information systems and medical data standards. We bring world-class expertise to our nation’s most critical defense, security, space and science challenges. With a wide selection of challenging, impactful work and a robust education assistance program, APL promotes a culture of life-long learning. Want to get notified about new jobs at JHU Applied Physics Laboratory?